When horrible people do horrible things like ignore the constitution while trying to ruin a family for political gain, it usually ends horribly. 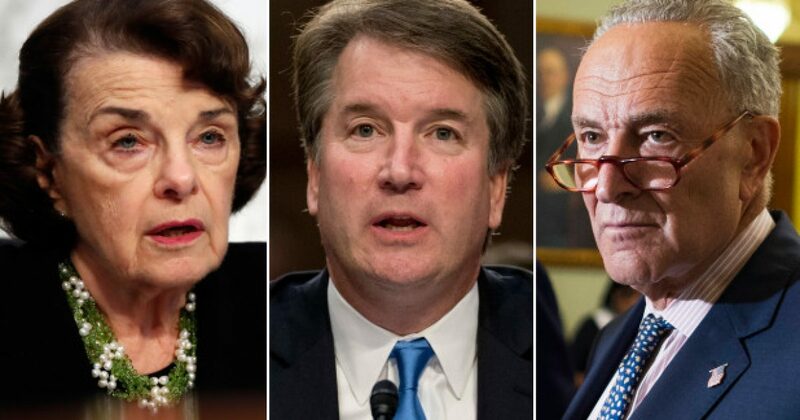 Democrat strategists just issued public warnings because the left’s attempt to destroy now Supreme Court Justice Brett Kavanaugh is backfiring. Now their chances of winning midterms are dwindling. Their previously slim chance of winning the Senate is almost non-existent, along with their once probable shot of retaking the House, contends Democrat pollster Ben Tulchin. “The Kavanaugh hearings did set us back, but it depended on geography,” Tulchin said in an on-record quote to Politico for a piece published Tuesday. Democrats took the biggest hits in rural and suburban areas. Their attacks and unsubstantiated allegations against Kavanaugh just don’t sit well with small town folks. In fact, this was the demographic they needed to woo to the Left. Instead, Democrats only gained support in inner cities, where they were already slated to win, Tulchin explained. “The more upscale districts, where we’ve done well all cycle, it was to our benefit there, and in more downscale districts with rural pockets, it was a challenge,” he said. After the Kavanaugh hearings, public and private polling in Iowa, North Carolina and West Virginia did show Republicans regaining ground in a slate of districts deep in Trump country. Rep. Rod Blum (R-Iowa) got $1 million in TV air cover from Congressional Leadership Fund, the House GOP-aligned super PAC, after initially being written off by national Republicans. Polls conducted by the New York Times and Siena College showed Rep. Mike Bost (R-Ill.) jumping out to a 10-point October lead after being tied with his Democratic opponent in September. 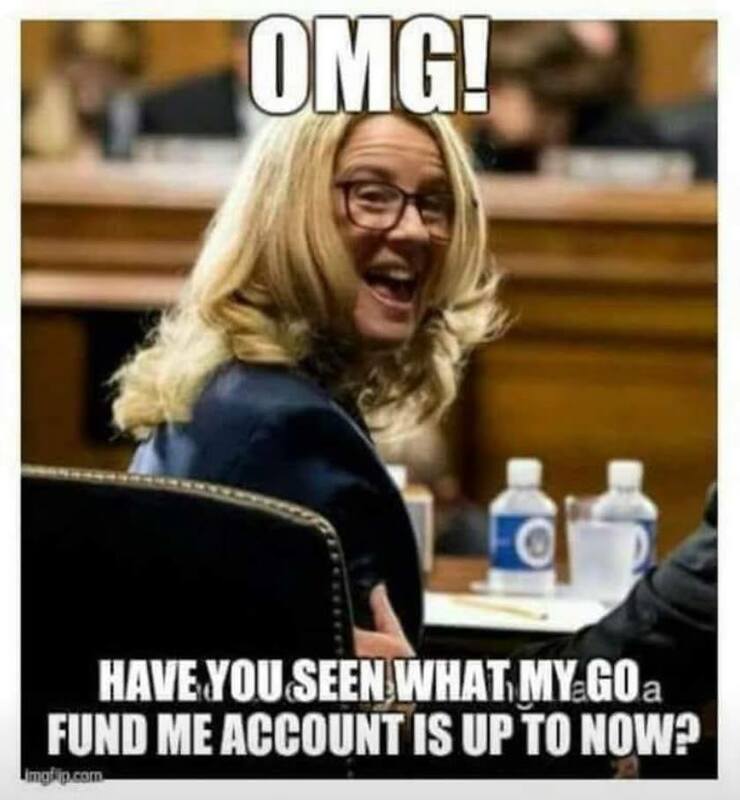 It seems that even when Leftists get evidence of their doom, they still spin the information. In North Carolina, where Trump campaigned last week, there were three GOP-held seats considered to be within range of potential Democrat pickup before the Kavanaugh situation. In the ninth district, McCready was bearing down on Harris–who defeated incumbent GOP Rep. Robert Pittenger (R-NC) in a primary earlier this year–Republicans were particularly worried. But in the 13th district, Rep. Ted Budd (R-NC) faces a stronger-than-expected Democrat challenge as does Rep. George Holding (R-NC) in the second district. Those two, particularly the second district, seem to have swung back in the GOP’s direction per recent polling, leaving the ninth district as the state’s main battleground. The Democrat Party willfully attempted to destroy a man’s reputation. Then, they intentionally caused harm to his family. Worse, they figured out the truth, but sat on it. Combined with the caravan of thousands of prospective illegal invaders currently bearing down on the U.S. border with Mexico, and you have issues that will be at the forefront of Americans’ minds when they go to the polls Nov. 6. President Trump commented on this during a Charlotte rally. “This will be the election of the Kavanaughs and the caravans,” Trump said. Leftists convinced themselves that conservatives are stupid people. However, today we find ourselves with super powers, able to see through everything liberals try. Now it seems even Democrats finally understand just how bad they screwed things up.